Recently, a young author who I had worked with contacted me for some advice on getting his second book published. His first publisher had gone out of business and now he was trying to figure out how to release his second book. My suggestion: Self-publish it yourself. What you can’t do yourself, contract out. “I can’t do that!” His writer’s eyes glazed over. “I can’t do it myself and I don’t have enough money to contract it out.” His face went white with fear. Easy for me to say. I worked as an editor for the federal government for over ten years. I’ve been doing layout design since college (we won’t talk about how long ago that was.) I’ve spent the last several years as a publisher—until I decided to concentrate on my own books. 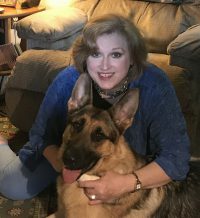 Really, the advantages of doing your own publishing far outweigh the expense and risks of contracting with a self-publishing company to do everything for you. You have more control over quality—because you are the boss. Less expensive. Even if you have to contract out each step in the process, you can easily publish a quality book with a professional looking cover for less than a thousand dollars. All you have to do is shop around, ask for references, and compare prices. I know what you’re thinking—and probably saying. Seriously? Me! Publishing a whole book that can compete with books published by Random House? I don’t think so. That’s because you are standing back looking at the process of publishing a book as a huge task. Take a deep breath. Sit down and think about it. Here, you’ve written a whole book. Beginning to end. That in itself is a huge task. Thus, you have already proven that you can tackle huge projects. Now, we’re going to tackle the publishing side of getting this book out there. Remember when you were in school—whether it be high school or college? Most likely, you’ve had to write a research paper at some point in your life. What goes into putting together a finished research paper? Now, what were the steps you went through in putting this research paper together? Rewrite based on comments from review. Correct mistakes discovered during proofreading process. Present to your professor. (In book publishing, this is the point where you release your book to the world. But wait! I can hear you scream. This is a whole book. That involves copyrights and ISBNs and other stuff! These legal registration steps are all small things that you can tackle yourself for little or no expense, depending on where you publish your book. Most do-it-yourself publishers will supply you with an ISBN for free. I recommend setting up your own account at Bowkers, which is free. Set up a name for your book line. If you are writing a series, then use a name that will make your readers immediately connect that name with your books. For example, C.S. McDonald, a cozy author, uses the name McWriter Books, a variation of her name. Her books are listed on Amazon with the publisher’s name listed as McWriter Books. Yet, the only books published by McWriter Books are Cindy McDonald’s Fiona Quinn mysteries. So, what are the steps necessary to publish your own book? Same as the steps you took in school for your fifteen-page research paper. Only now you have many more pages! Cover: All you have to do is search the Internet to learn the do’s and don’ts of good cover design. There are also a number of websites online where you can design your own cover in a step-by-step process. If you are going to contract this out, then be sure to allow enough time for the artist to get it done. (including Acorn Book Services) Graphic designers are artists and some have problems working on deadlines. I suggest you start looking as soon as you are certain that you are going to publish this book. Rewrite based on Editorial Review. Now don’t feel like you have to do everything that your beta reader tells you to do. Remember, it is your book. But, I can say that 100% of the time, I do a rewrite based on an editorial review. Send off to the editor. Go over the edits after it comes back from the editor. Don’t just go through and accept (or reject!) everything your editor changes without looking at it. Also, don’t only go through the edits and not look at everything else. At this point, you have probably not seen your book for weeks. Take advantage of it being fresh again. As you go through the editor’s marks, read through the book one more time. It is a fact that editors are human. This means, they make mistakes. They miss things. I have worked with many editors and not one has been perfect. So before your book is formatted for publication, go through it yourself to look for errors that your editor missed. Proofread. This is not the same as editing! Some writers think they can save money by contracting with an editor to “proofread” their manuscript—before it has been formatted. We are talking about two different things. Proofreading is going through the book after it has been formatted to look for grammar and punctuation errors that may or may not have been missed by the editor. Checking page numbering. Etc. I recommend that you either pay an editor to do this for you or ask a friend to do it. Studies have proven that if you look at something enough times, then your brain will automatically correct it. It’s sort of like your Internet browser automatically loading up a website that you regularly visit without updating the site with recent changes. In this case, you need to clear the cache. The fact is, by the time you get your proof, most likely you can’t see the mistakes in it. You need someone with fresh eyes (a clear cache) to read it. Note: This is not the time to rewrite the book! You are simply looking for mistakes—that’s it. Celebrate! You are now an author! 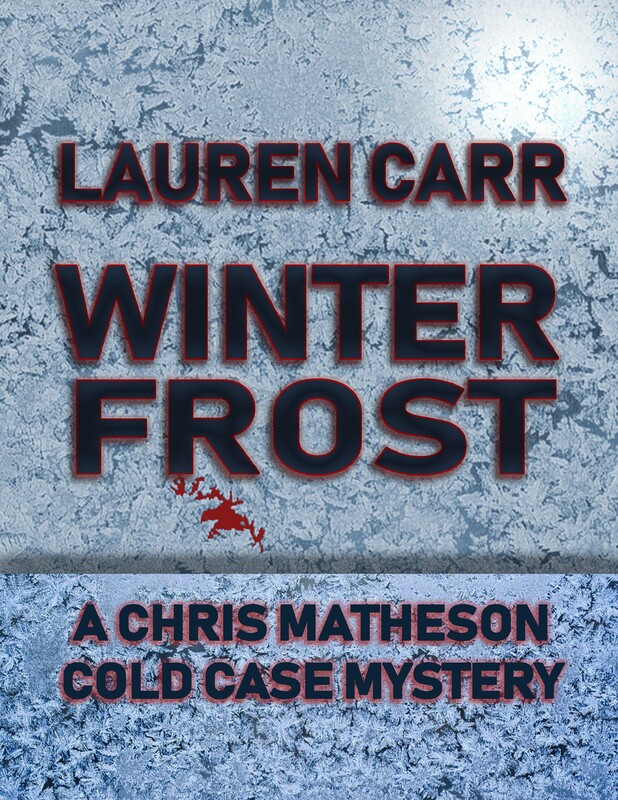 Chris Matheson’s Most Personal Cold Case Yet! Things have finally settled down into a pleasant routine for the Matheson family. Chris’s daughters have adjusted to life on the Matheson family farm with their grandmother. Chris is enjoying taking care of his horses and activities with his book club, aka the Geezer Squad. He feels especially blessed to have a second chance with Helen Clarke. All is going his way until he has a chance encounter in the city with his late wife—an encounter that ends with a dead international hitman and Chris on the run from a highly skilled team of assassins. Teaming up with an ultra-secret government agent with a thorny deposition, Chris has to go off the grid to evade the unidentified forces out to kill him and anyone connected to his supposedly dead wife. Luckily, the members of the Geezer Squad are experts at “old school.” They can even teach a phantom a thing or two about old-fashioned investigating. In his most personal cold case, Chris fights to uncover why the state department told him that his wife, the mother of his children, had been killed when she was alive. Where had she been for the last three years? And why would anyone send a death squad halfway across the globe to hunt down a low-level state department employee? Not only that but what is to become of his relationship with Helen now that he’s married? Thanks for sharing the wonderful post. I love Lauren’s books and I have got to get my hands on this one so I can stay current! Thank you so much! Yes, Winter Frost is a fun one! You’ll enjoy it as well! Have a very happy New Year! Spring Thaw was tons of fun and I’m sure Winter Frost will be too. Happy New Year to you too, Lauren.